GODREJ ODYSSEY1 SPECIAL MADE FOR HOTEL & RESORT. SAFE N SECURE WITH KEY PAD SECURITY LOCK. Godrej No.1 Aloe vera and White lily soap is enriched with the do good properties of aloe vera that moisturizes the skin and enchanting fragrance of white lily which gives you a soft and beautiful skin, naturally. That makes it the third largest soap brand by volume in India. 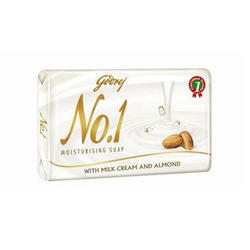 But what makes this soap so special Simply put, Godrej No.1 offers you 'nature's way to beauty' with carefully chosen natural ingredients to make your skin naturally beautiful. It is Grade 1 quality soap and the highest selling soap of its kind in the country. 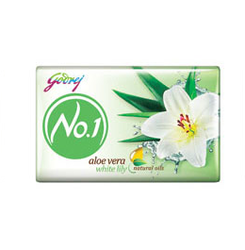 Godrej No1 Coconut & Neem Soap packs the benefits of two great natural ingredients into one. Coconut oil, known for its skin hydrating properties, has been combined with neem- an active skin clarifier, to give you an enviable satin smooth skineveryday.